Transgender veterans report a greater sense of well-being than transgender people who did not serve in the military, a University of Washington study finds. Transgender people make up a small percentage of active-duty U.S. military personnel, but their experience in the service may yield long-term, positive effects on their mental health and quality of life. A study from the University of Washington finds that among transgender older adults, those who had served in the military reported fewer symptoms of depression and greater mental health-related quality of life. The findings were published in a February special supplement of The Gerontologist. The paper is part of a national, groundbreaking longitudinal study of LGBT older adults, known as “Aging with Pride: National Health, Aging, Sexuality/Gender Study,” which focuses on how a range of demographic factors, life events and medical conditions are associated with health and quality of life. Estimated numbers of U.S. military personnel who are transgender vary widely, but range between one-tenth and three-quarters of 1 percent of the roughly 2 million active-duty and reserve forces. A study from UCLA estimates about 134,000 transgender veterans in the United States. The new paper, by researchers from the UW School of Social Work, explores how military service affects transgender people because previous data indicated that, among LGBT people over age 50, those who identified as transgender were more likely to be veterans than lesbians, gay men or bisexuals. Reports have indicated that transgender individuals serve in the military at higher rates than people in the general population. In the 2015 U.S. Transgender Survey of 28,000 individuals, 15 percent said they had served, compared to about 9 percent of the U.S. population overall. And yet, little is known about how military service influences the well-being of transgender veterans later in life. Other studies have shown that transgender veterans suffer higher rates of depression than other veterans. UW researchers were somewhat surprised, then, to learn that the transgender veterans they surveyed tended to have better mental health than transgender people who hadn’t served, said lead author Charles Hoy-Ellis, a former UW doctoral student who is now an assistant professor at the University of Utah College of Social Work. The traditionally masculine culture of the U.S. military would seem to be a potentially difficult environment for someone who doesn’t identify with the gender they were assigned at birth, he said. But military service creates its own kind of identity, the authors said, because it presents often dangerous and traumatic challenges; overcoming those challenges builds resilience. And that’s where the identity as a transgender person enters the picture. The internalizing of negative stereotypes, such as those around sexual orientation, is considered a risk factor for poor mental health, added co-author Hyun-Jun Kim, a UW research scientist in the School of Social Work. Military service could be the opposite — a protective factor. 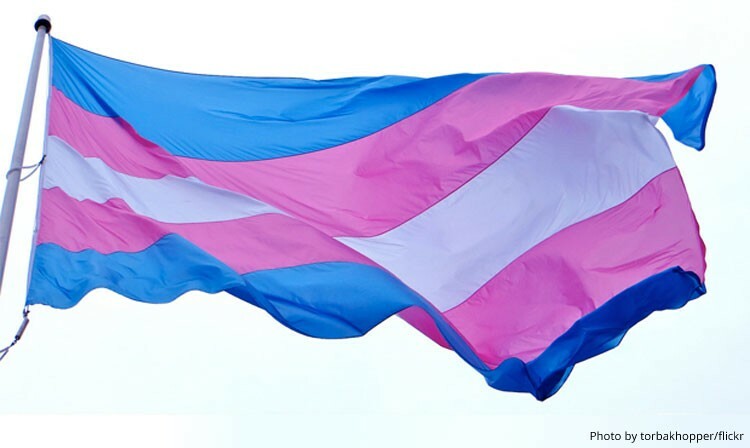 “Often when people think of the transgender population, they focus on the risk factors, but it’s equally important to focus on the protective factors and nourish those resources. In this case, what aspects of military service contribute to being a protective factor?” Kim said. Researchers said they were somewhat limited by the size of their study sample: Out of the 2,450 people ages 50 to 100 who were surveyed for Aging with Pride, 183 identified as transgender. Of those nearly one-fourth, or 43, had served in the military. Of those who had served, 57 percent identified as female. People of color made up 29 percent of the transgender veterans in the study. But as awareness grows about gender-identity issues, there is opportunity to address support services for transgender veterans at the federal level and in the community, Hoy-Ellis said. Other co-authors were Chengshi Shiu, Kathleen Sullivan, Allison Sturges and Karen Fredriksen-Goldsen, all in the UW School of Social Work. Funding was provided by the National Institutes of Health’s National Institute on Aging. For more information, contact Hoy-Ellis at Charles.Hoy-Ellis@socwk.utah.edu or 801-585-0835.